Put a musical twist on games that your kids already love! Learning music should be fun! That's why Sarah has developed fun games to help children learn theory and violin techniques. She puts a musical twist on games children already know and love, such as musical chairs, Simon says, and Twister, and introduces some of her own from her Taiwanese childhood, such as Heart Attack (card game) and 123 Wooden Man. Click the buttons below for easy to play small and large group games! Click here to see which violin books are best for beginners and intermediate students! Having trouble getting your student to do theory homework? Check out my fun and original theory worksheets that feature cute riddles, graphics and games! 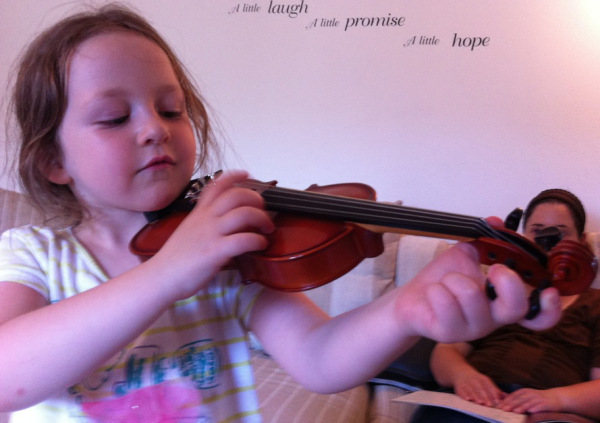 Sarah offers violin lessons for students in the West Los Angeles area, and specializes in teaching beginners and children. She is bilingual in Mandarin Chinese and English, and has over 10 years of teaching experience. Study with her in studio or in the comfort of your own home. Read more about her teaching method and experience and sign up for lessons!